National Taco Day is the greatest of all food holidays. On October 4, you'll be able to prove your taco bona fides by attempting to track down as many tacos as possible. (You can definitely find free tacos for National Taco Day.) With more than 5,000 locations in the U.S., there's a good chance Taco Bell is a decent place for you to start looking. The Bell has put together a promotion to help you celebrate. 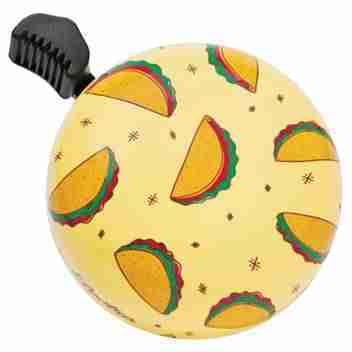 It's bringing back the $5 National Taco Day Gift Set in locations across the United States. A gift set sounds like a strange Taco Day promotion, but it's just a fancy box with four tacos for $5. 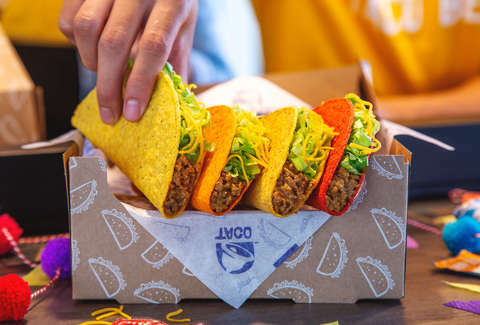 The faux-ribboned box comes with four hardshell tacos: a Crunchy Taco, Fiery Taco, Cool Ranch Doritos Locos Taco, and Nacho Cheese Doritos Locos Tacos. If you're looking for a taco that's a little more, uh, not made of Doritos, Thrillist has a big list of National Taco Day deals you can dig into over here. Alternatively, you could get after a totally different kind of taco bell. Yes. There's a bike company that made a bike bell covered in taco emojis. It's, ahem, a taco bell. Plus, you can't beat the description of the bell on the Electra Bicycle website: "Easy to push lever creates friendly ringing sound." Ring ring. Happy National Taco Day.